Many thanks to Freida Logan-Pages for providing historical information for this page. Fred C. Logan was born on Oct. 14, 1925 in Brandon, Manitoba, Canada and grew up in Moose Jaw, Saskatchewan. At a very early age Fred's father would take him to see some of the large railroad carnivals of the day, in later Fred said it was these experiences that sparked his interest in show business. 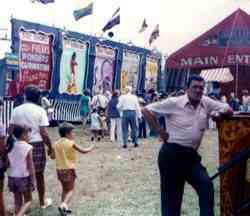 Logan's father died when Fred was only ten years old but young Logan continued to visit carnivals and circuses as they came near. Fred attended school in Saskatoon, Moose Jaw and Notre Dame college at Wilcox Saskatchewan where he was very involved in sports. While at college Father Athol Murray, became a lasting influence on Fred's life. Once Logan left home to join the Conklin Shows (a large Canadian railroad carnival), however Fred's mother and Father Murray intervened and brought him back home. The lure of the traveling shows were overwhelming to young Logan and he convinced his mother and Father Murray to allow Fred to re-join the Conklin Shows. Fred hitch-hiked to catch up with the show in Regina. 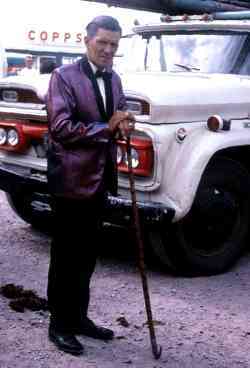 The show later played St. Francis Ontario, where Logan met wild animal trainer Terrell Jacobs, who would become Fred's mentor. 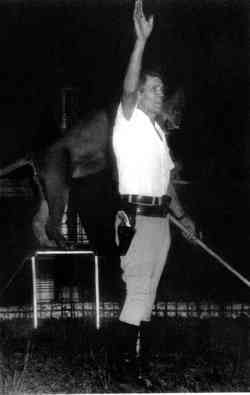 Fred learned his trade well and became one of America's greatest animal trainers. 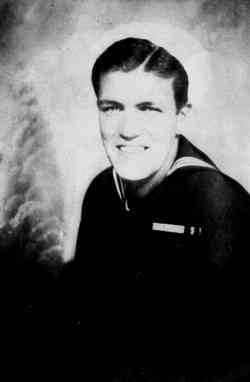 In 1944 Fred joined the U. S. Navy and served in the South Pacific during World War II. After Logan's military service he became a U. S. citizen. In 1946 Fred joined the elephant dept. 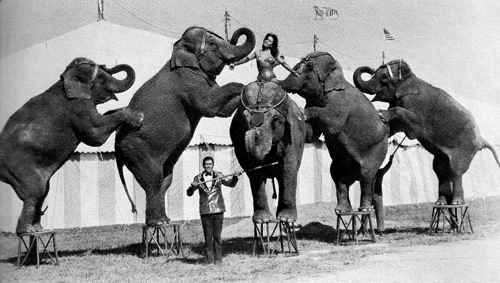 of the Ringling Bros. and Barnum & Bailey Circus where he presented five elephants in the show's "Changing of the Guard" routine, an act that Fred thought was one of the greatest elephant routines of all times. In 1950 Fred joined the Al G. Kelly & Miller Bros. Circus where he assisted famed elephant trainer Bill Woodcock, in training 11 young elephants. 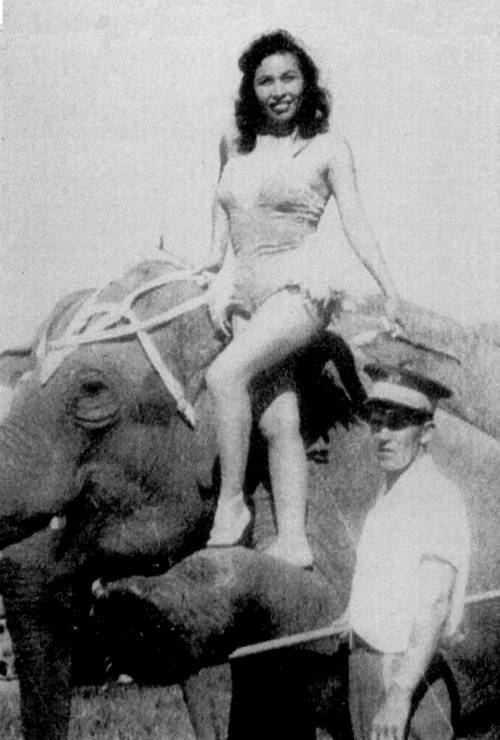 Fred then became head of the "Miller-Woodcock" elephants which played independent circus dates. It is when Fred was working with Kelly Miller that he met his beautiful Native American wife Ora Jo. Ora was the daughter of Chief Joe Yelloweyes, Ora and her family had performed with many shows including Kelly Miller, Dailey Bros Circus and the Miller Bros. 101 Ranch Wild West Show. 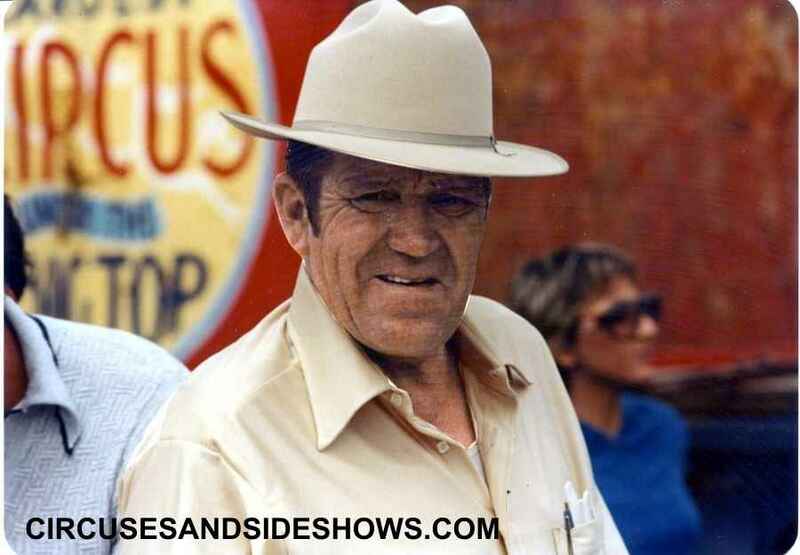 Fred and Ora became very dedicated parents, raising eight kids - Mary Jo, Walter (who passed away Nov. 25 2005 age 46), Ileene, Lillian, Freida, Naomi, Charles and Fred Jr. all who worked in the circus industry. 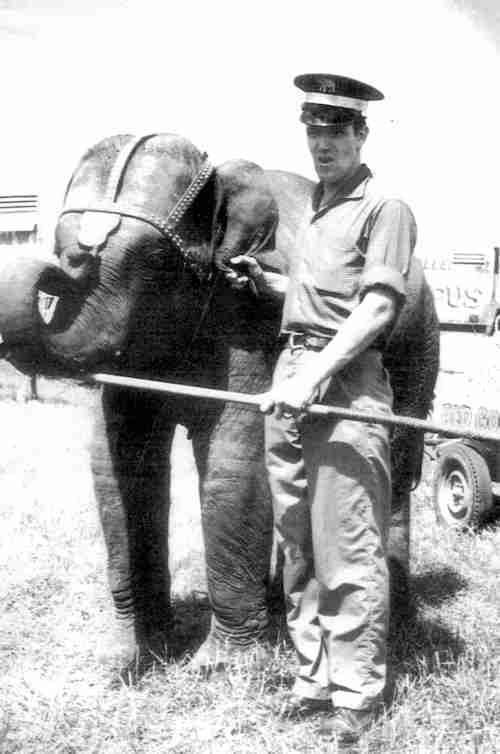 Fred Logan was perhaps best known for his work with elephants, however in his long career he trained and presented a wide variety of performing circus animals. In 1961 Fred purchased seven young lions from Mabel Stark. Fred formed the lions into an act that he performed on Kelly Miller for almost ten years. In 1971 Fred became the head of the Clyde Beatty Cole Bros Circus elephant herd, where he would remain for more than 25 years. 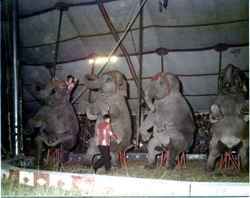 On the CBCB circus, Fred oversaw the training and presentation of three rings of performing elephants. The act concluded with the 11 elephant "Walking Long Mount" on the hippodrome track, a truly spectacular sight. When audiences view a circus, they see the rhinestones, spangles, colored spotlights and the magnificent performing animals. No one realizes what it takes to make it possible. 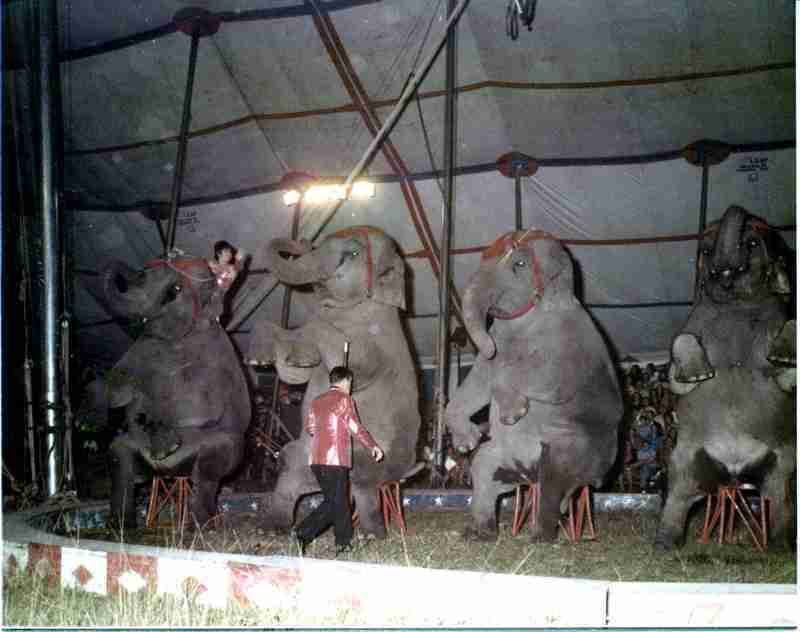 Animal care on a circus is 24 hour a day, seven day a week and 12 months a year hard work. In Fred Logan's decades of performing and caring for animals he rarely left the show grounds, always staying near his beloved animals. Fred Logan passed away on July 12, 2006. 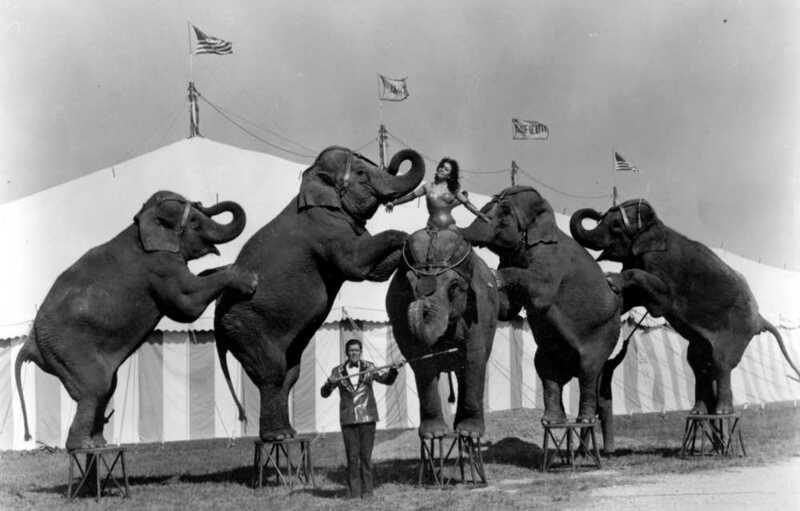 Fred's daughter Freida along with her husband George and the Pages family now operate Circus Pages. Freida and George's daughter (Fred granddaughter), Vinceta now performs a beautiful act with 6 white tigers and has been featured on the Ringling Bros. and Barnum & Bailey Circus and the Cole Bros. Circus.